This is the information for the annual Scripps Spelling Bee hosted by West County Christian Home Educators. However, in order to participate and have access to the word study lists, one must have a current membership with WCCHE. Once your membership is activated, then the study lists can be obtained from the Members’ only side of the website. WCCHE will be holding their Spelling Bee for WCCHE families who have homeschooled children grades K-8. 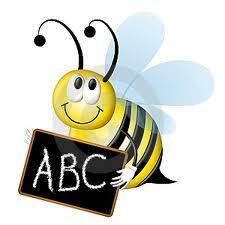 The bee will be conducted as a written test with winners by each grade level. The over-all high scorer will then advance to the St.Louis Post Dispatch regional spelling bee and then optimistically to the Scripps Howard national spelling bee. How do I get the Study Word List? : On the West County Christian Home Educator’s website are three Study Lists. · Open any or all of these files and print the word lists so you can help your child/children begin studying. Can a student participate in more than one Scripps Spelling Bee? No, A student is allowed to participate in only one Scripps Spelling Bee per a school year. *In the past there was a dilemma that arose regarding the grade in which a child should be entered in the spelling bee. If your child is studying spelling at grade level or if your student is studying spelling above grade level in your homeschool, it is recommended that you enter your child into the grade level that his/her age determines. For example, your child’s age and birthdate determine tha t your child would be enrolled in 2nd grade in a traditional school setting. However, in your homeschool your child is doing 3rd or 4th grade spelling. It is advised, when you sign your child up for the WCCHE Spelling Bee, that you sign him/her up for the 2nd grade spelling group. If you have any questions regarding this, then feel free to ask. It is better to ask before the Spelling Bee rather than after the Bee when all the awards have been given out. The official study guide is the Webster’s Third New International Dictionary and its addenda section, copyright 2002, Merriam-Webster.